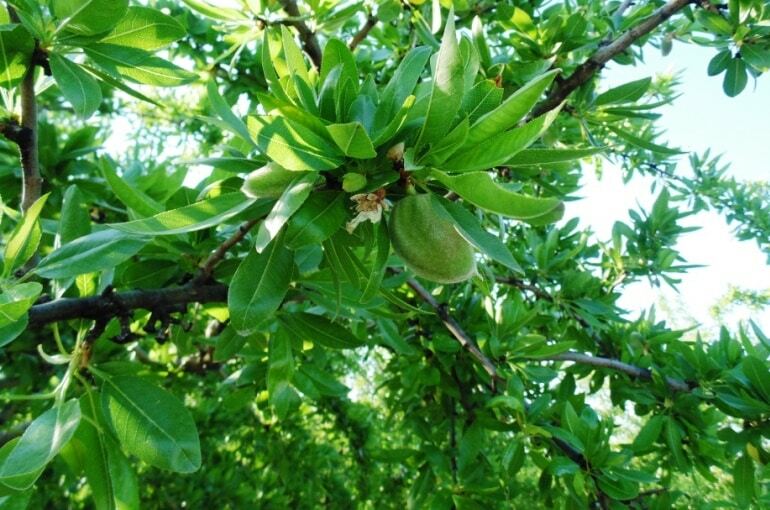 Contemporary commercial almond farming practices suggest that once a year (on summer – July, August) we should collect at least 100 leaves from our almond trees and send them to laboratory for a detailed nutrient analysis. If we detect that the average leaf has some nutrient deficiencies (some important chemical elements are below acceptable standards), then we can discuss with an agronomist on how to intervene and correct the nutrient problems by adding the proper element, for instance a calcium amendment, most often through foliar application. As far as young (1-3 years old) almond trees are concerned, we must be very careful, because if we add fertilizer at a certain spot of the soil without irrigating at the same time, this may cause various problems to the tree (this may also be an issue to some mature trees). Most farmers apply 5,3 oz. (150 g) of N per every young tree during the 2nd and 3rd year after their establishment. As far as mature almond trees are concerned, a common fertilization scheme is adding 8-12 lbs. (3,6 – 5,4 kg) of N-P-K 12-12-17 + 2MgO per mature tree, applied two times per year, once during late winter (February) and then during late spring – early summer (May-June). A second almond three fertilization scheme involves adding 8-12 lbs. (3,6 – 5,4 kg) of N-P-K 12-12-17 +2MgO per every mature tree during late winter – early spring (February-March) and the injection of water soluble fertilizer N-P-K 15-15-15 through the irrigation system during late spring (April-May). A third almond tree fertilization scheme (that can be partially combined with any of the above) involves 3 foliar applications with N-P-K 20-20-20, one at the time when the flower petals fall and the other 2 with 10 days intervals. (These are just some common practices that should not be followed without making your own research and leaf analysis). The almond tree has great needs in Nitrogen. Many farmers add (through spraying or fertigation) in total 2,2 lbs. (1 kg) of nitrogen in every mature tree per year and this seems to be sufficient. Adding a much greater quantity than that has been reported to result in the rapid growth of water sprouts. As a result, yield is reduced as the water sprouts often shade the fruit-bearing parts of the branches. Potassium is the second most important macronutrient. If a potassium deficiency is detected after leaf analysis, almond growers often add 15-20 lbs. (6,8 to 9 kg) of potassium sulfate (K2SO4) in every mature tree. Alternatively, correction of severe potassium deficiencies can be managed through foliar spraying with potassium nitrate (1 lbs. of potassium nitrate in 100 lbs. water, sprayed at least 5 times per month during spring – ask a licensed agronomist). Excellent fertilization of almond tree can be managed by adding manure. Many farmers add 10 to 20 tons of manure per hectare every one or two years. (1 hectare = 2,47 acres = 10.000 square meters and 1 ton = 1000 kg = 2205 lbs.) When they cannot find manure at a reasonable price, many farmers apply green manure, mainly Vicia faba or Vicia sativa. In this case, almond growers sow legumes in the autumn. During the next few months, they add phosphorus and potassium to the field in order to help legumes grow quickly. They finally plow the plants, incorporating them into the soil just before their flowering (spring – April, May). Keep in mind that during the decomposition of organic matter, there is increased nitrogen consumption. 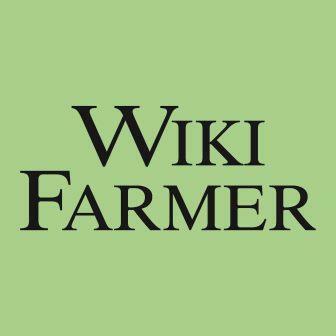 Consequently, many farmers add -at the time of plowing- nitrogen (in nitrate form) to the soil so as to avoid any nitrogen deficiency (ask a licensed agronomist). However, these are just common practices that should not be followed without making your own research. Every field is different and has different needs. Checking the soil nutrients and pH is vital before applying any fertilization method. Leaf analysis is very important in order to diagnose and correct nutrient deficiencies in almond tree, always after consulting an agronomist. 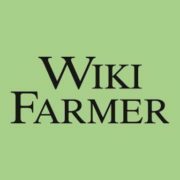 You can enrich this article by leaving a comment or photo of your almond tree fertilization methods.